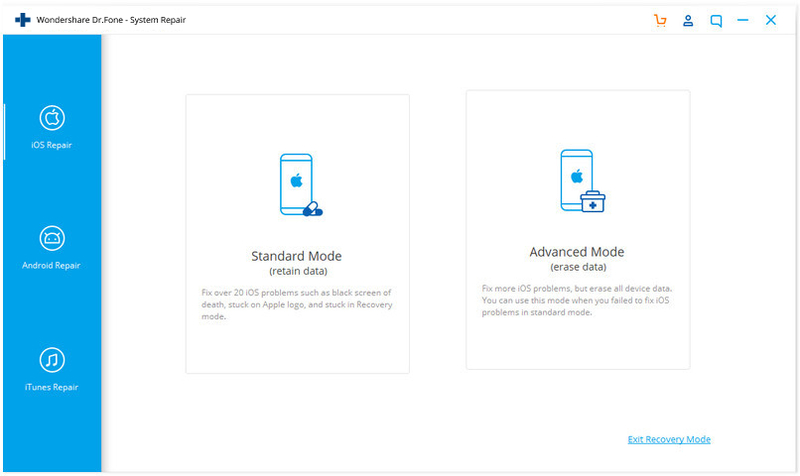 Fix with various iOS system issues like black screen, recovery mode, white Apple logo, , looping on start, etc. Oh-no! Your iPhone screen turned black, giving no indication of what went wrong yet again! This definitely makes you worried about your precious iPhone and its data that you cannot afford to lose right? Now, what will be your next move, thinking and wondering for a reliable solution? That's the catch, all your worry and search ends here. Yes, definitely! Before you move on to the solutions, let us also educate you on what exactly is iPhone Black Screen? In short, iPhone black screen appears due to some hardware and software issue, that stops the functioning of the device, turns the screen into black screen of death even when the device is on. Therefore it is really important to understand the norms of that issue. So, stay tuned to get the answers in detail. Part 2: How to fix iPhone black screen if it's a software problem? Part 3: How to fix iPhone black screen if it's a hardware problem? 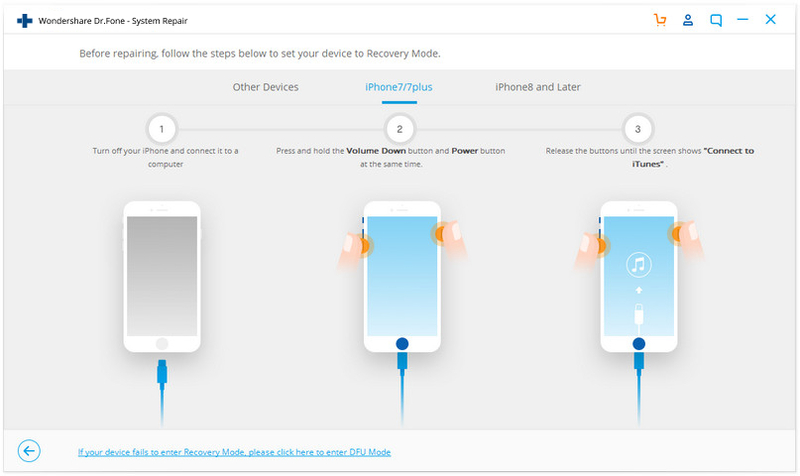 Part 4: Some tips to avoid iPhone black screen issues and other similar problems. 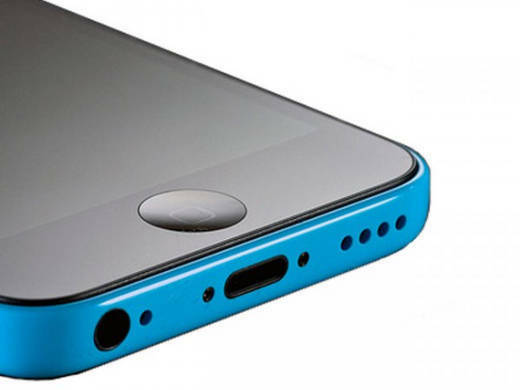 The first thing to do in order to resolve the iPhone black screen is determining its cause. If you have recently dropped your phone or if it has been accidentally soaked in water, then chances are that there could be a hardware-related issue with it. If this is the case, then it means a hardware component (mostly the screen) of your iPhone has been damaged. If every hardware component is functioning seamlessly, then the reason behind the iPhone screen black could be software related. A software issue could have happened if your phone has been affected by a malware. A bad or corrupt update or an unstable firmware can also cause the same problem. Additionally, iPhone screen black can happen after getting an app crashed or working on low space as well. Most of these issues can be resolved by resetting your device. We will discuss this in the coming section as well. Firstly, determine the reasons for having the black screen of death on your phone and take the respective course of action to resolve it. The best way to resolve the iPhone black screen issue is by taking the assistance of dr.fone - Repair . It is a secure and reliable way to fix various kinds of issues related to an iOS device. 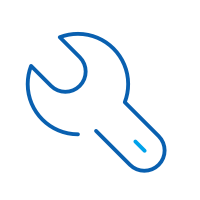 For instance, one can use the application to resolve problems like blue/red screen of death, device stuck in the reboot loop, error 53, and more. The desktop application runs on both, Windows and Mac and is already compatible with every leading iOS version out there. Fully compatible with the latest iOS 12 beta. 1. Install dr.fone on your Mac or Windows system and launch it whenever you wish to fix iPhone black screen issue. 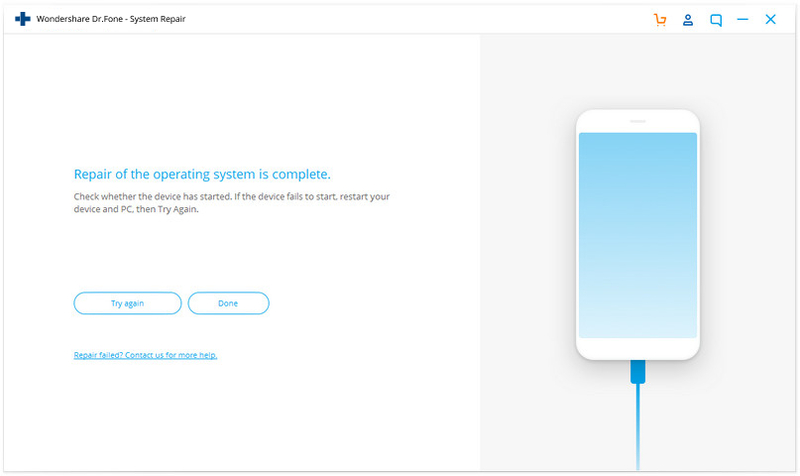 Click on the option of “Repair” from the welcome screen. 2. Now, connect your phone to the system using a USB/lightning cable and let it recognize your device. Afterward, click on the “Start” button to initiate the process. 3. Following the on-screen instructions, put your phone into DFU mode. 4. 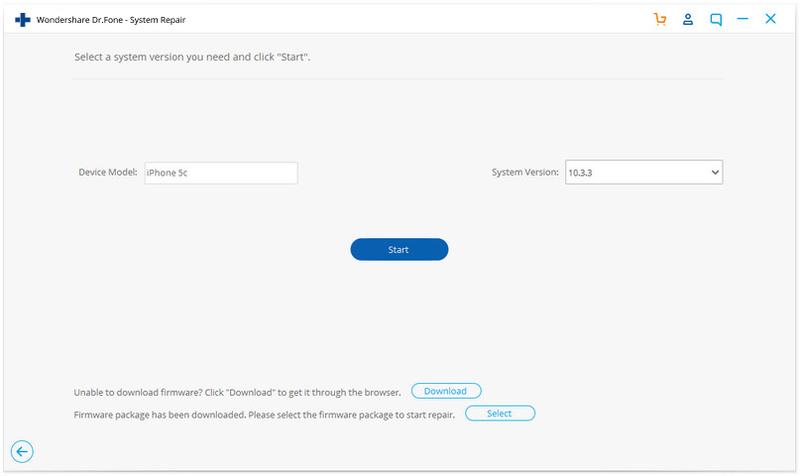 Provide basic information regarding your phone (like device model, firmware update, and more) in the next window and click on the “Download” button. 5. 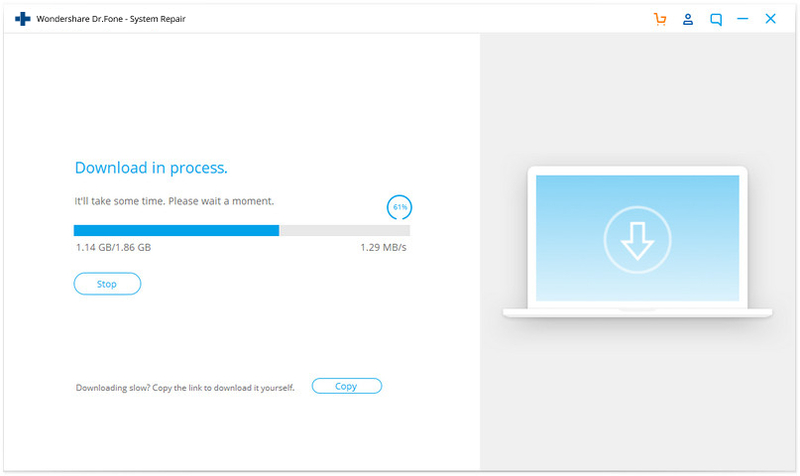 Sit back and wait for a while as the application will download the respective firmware update for your device. 6. Once it is done, the application will start fixing your phone automatically. Just wait for a while and make sure that your device is connected to the system during the process. 7. After starting your phone in normal mode, it will display the following message. You can safely remove your phone or repeat the entire process. The best thing about this method is that it will fix the black screen of death without losing your data. All the data on your device would be retained even after fixing this issue. The second way to fix the iPhone black screen issue is by taking the assistance of iTunes. Though, in this technique, your device would be restored. It means that you would end up losing all the data on your phone. If you haven’t taken a recent backup of your device, then we won’t recommend following this solution. If your iPhone screen is black, then simply connect it to the system and launch an updated version of iTunes. Wait for a while as iTunes will recognize it automatically. Now, visit its “Summary” section to get various options you can perform on your phone. Just click on the “Restore” button to reset your device. This will display a pop-up message regarding a warning. Click on the “Restore” button once again to restore your phone. Wait for a while as iTunes will reset it and restart it normally. If you think that your iPhone screen is black due to a hardware-related issue, then make every necessary step to fix it. Firstly, charge your phone and make sure that there is no issue with its battery. Also, make sure that the charging port is not damaged. You can always clean it and try to charge your phone using an authentic cable. If nothing else works, then you can also visit a nearby Apple Store or an iPhone repairing center. From here, you can get your iPhone checked and just replace any malfunctioning part. Most probably, there would be a problem with your phone’s screen. 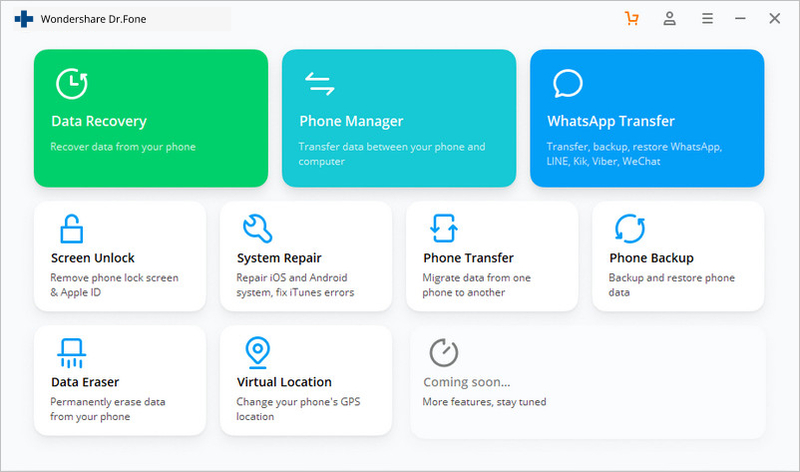 If you are sure, then you can also dismantle your phone carefully and check if all the connections are secure or not. Part 4. Some tips to avoid iPhone black screen issues and other similar problems. D: Avoid jailbreaking the device. This might breach security measures. E: Always keep in contact with Apple Support team or have their contact information at bay. This will be helpful at the time of need. Finally, I am sure it will be a great relief to see your phone get back to work with no further black screen issue. The quick solutions mentioned in the article will be the right way to get out of iPhone 6 black screen of death. We wish you all the best for your iPhone journey ahead with so many upcoming updates and new arrivals. However, if in between you need any help, just get back to us, we would be happy to help you in handling any iOS issues. Be a happy iPhone user! Learn how to fix the iPad won’t turn on problem in this comprehensive guide. We have provided 5 stepwise solutions to fix my iPad won’t turn on issue. In this article we are going to address the iTunes error 2005 and iTunes error 2003, what it is and how you can fix iTunes error 2005 and error 2003. In this article, we are going to offer you a few ways to solve the problem - iPod stuck on Apple Logo, one of which will guarantee no data loss. The reception issues could be caused by your iPhone device or by your service provider.